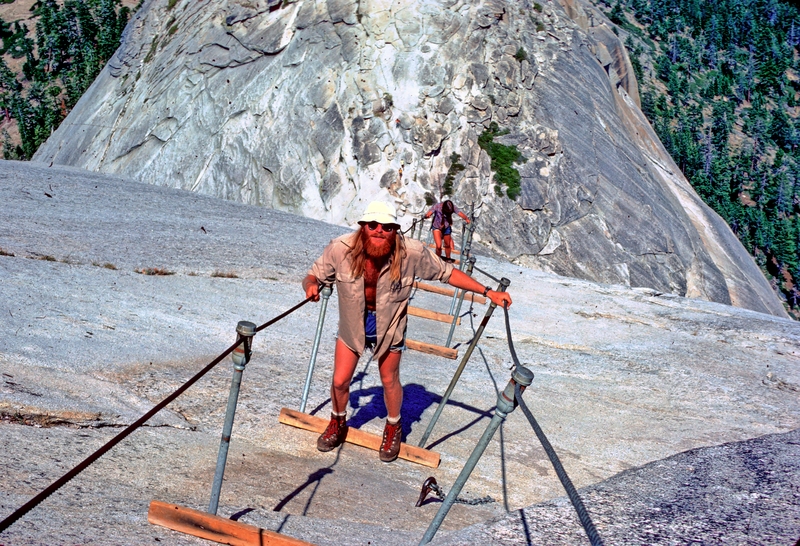 The first time I went up the cables on Half Dome was in July, 1974. 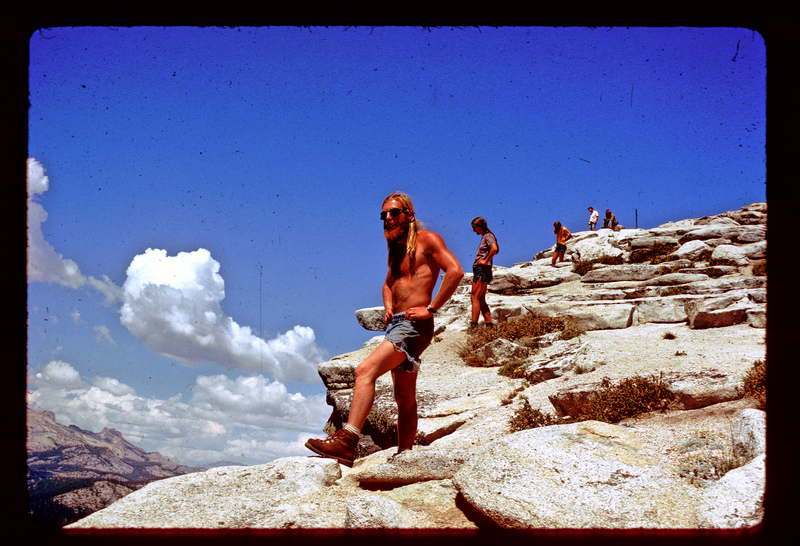 I was skiing the Muir Trail during Christmas vacations, hiking it for the second and third times during the summers, and going to school in between.We looked like bikers then. We wore enormous boots suitable for ice climbing. Just generally loaded for bear. And not afraid to hang ten on the nose. Many years passed. 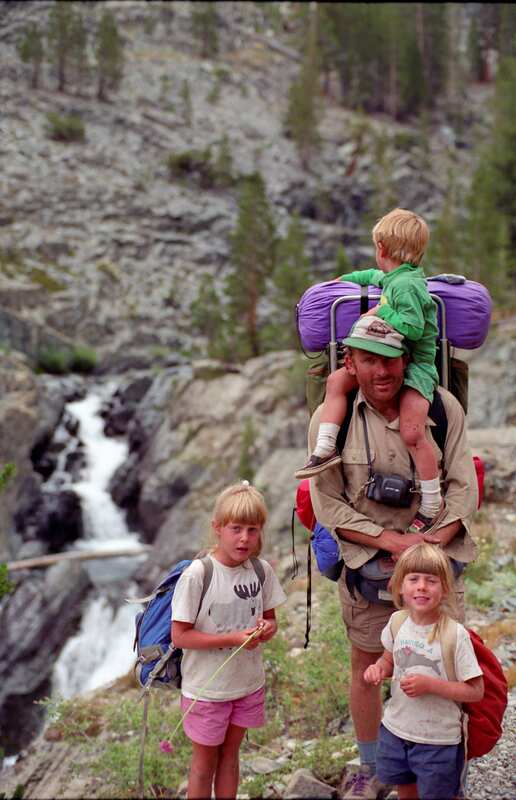 Many wonderful trips introducing the kids to wilderness. Our first trip below. Eleven days up Goddard Creek. Expedition style, hike the kids up, go back and ferry another load. But loads have a habit of shifting. A new world emerges. 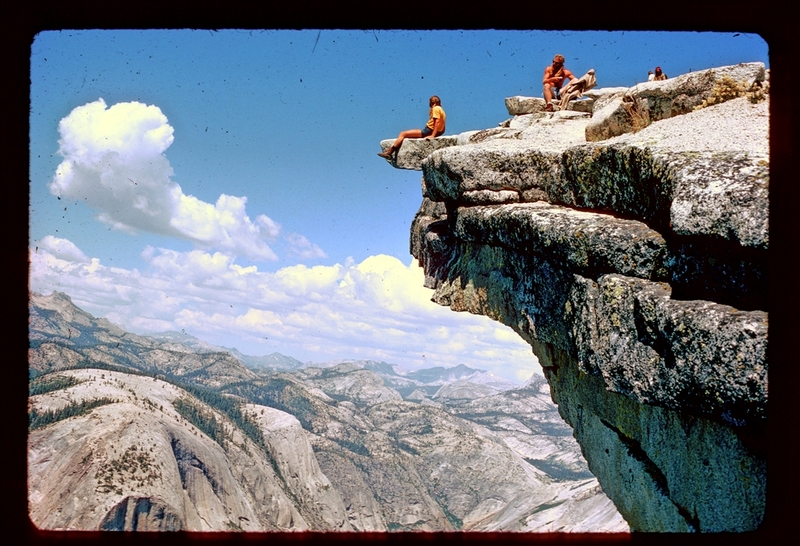 In 1974 we got to Lake Tenaya at two in the morning, left the next morning, spent a night and climbed Half Dome without a permit. Today there is a lottery for permits and an armed ranger at the base of the cables. Your papers had best be in order. I would have been trying to figure out a way to sneak up there in the moonlight, but each generation rises to it’s challenges and my son entered the lottery and got a permit last August. The load has shifted. 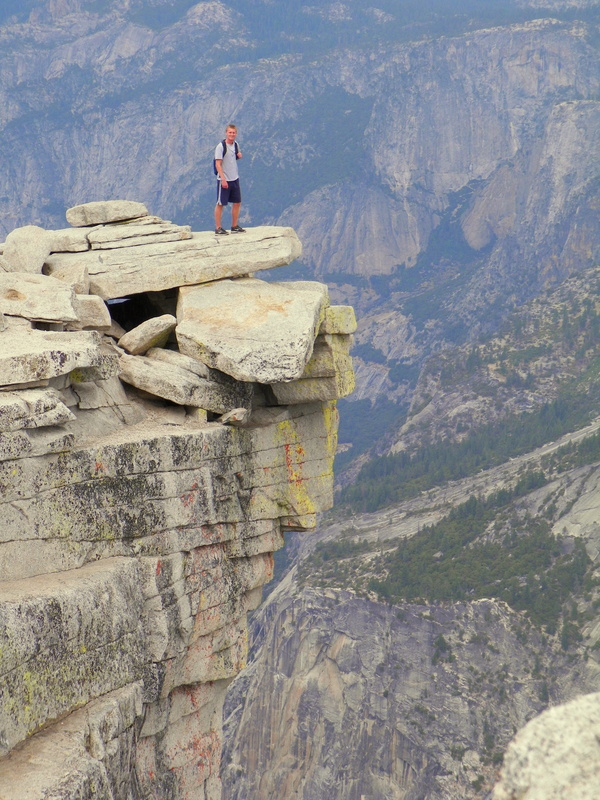 Regulation and wilderness is an oxymoron. To preserve our dignity we left in the dark and did an illegal bivouac to get an early start. 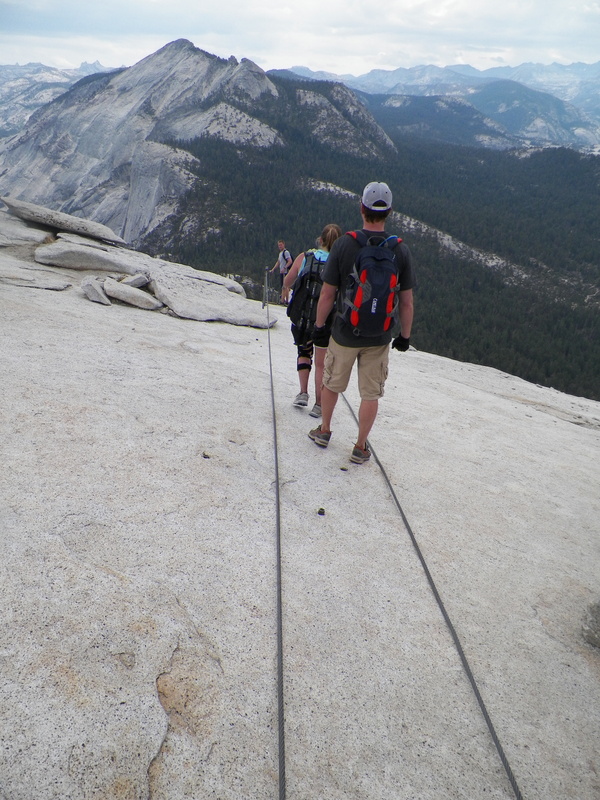 I was less afraid on the cables this time, even though a bit of rain made the granite very slick on the way up. The load has shifted. My daughter, recovering from ACL surgery did it in a knee brace. My son on the nose. I am proud to pass the load on. Maybe they will ferry loads for me when I am too doddering to carry any of it. 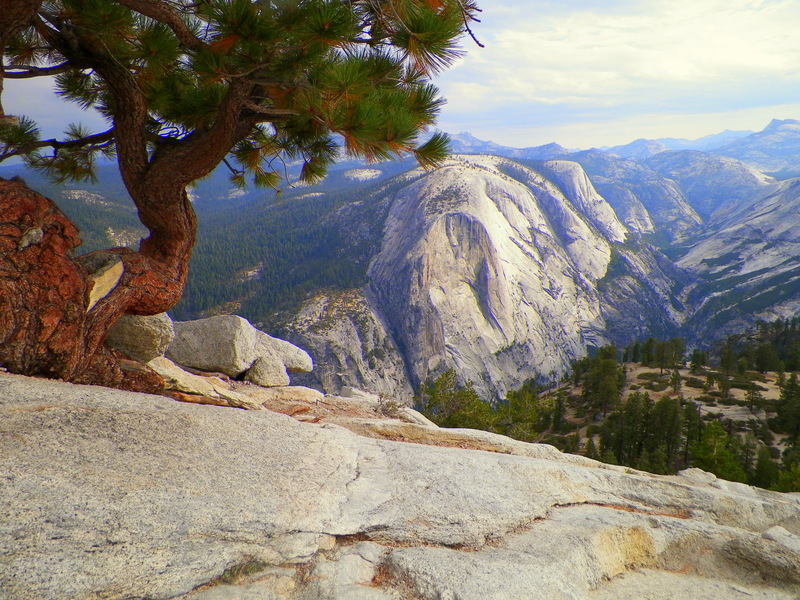 This entry was posted in Half Dome, Wilderness and tagged Half Dome, Hiking, Yosemite National Park. Bookmark the permalink.